U.S. RECORD LEVELS OF DEBT – WHO CARES ? 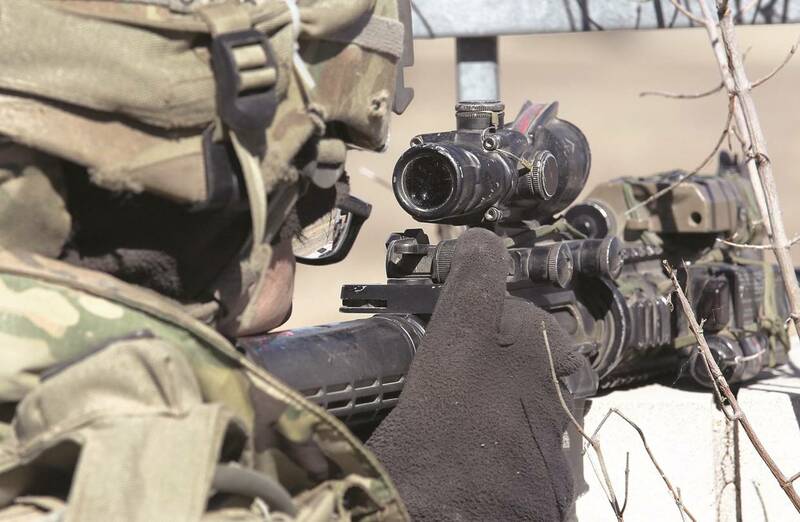 The U.S. Army’s Dagger Brigade is preparing for a September deployment. But it’s stretched thin. Messrs. Donnelly and Cunningham are, respectively, a co-director and senior research associate at the American Enterprise Institute’s Marilyn Ware Center for Security Studies. EXCERPT FROM THIS ARTICLE: How did we get to this point? During the Cold War, the massive U.S. forces that patrolled the West German border—nearly a quarter-million soldiers strong—were the best-equipped and readiest in the Army. Today the “frontier of freedom” in Europe has moved 1,000 miles east and runs from the Baltic to the Black Sea, but U.S. forces have neither moved with it nor retained their size. Lt. Gen. Ben Hodges, who commands U.S. Army Europe, says his job is to make 30,000 troops “look like 300,000” to the Russians. President Obama announced the European Reassurance Initiative (ERI) in 2014 to “reassure allies of the U.S. commitment to their security and territorial integrity as members of the NATO alliance.” The initiative promised increasingly large summer exercises with allied militaries and new “heel to toe” rotations of Army heavy brigade combat teams. As usual, however, the Obama administration sent mixed messages. Even while trumpeting the ERI, it continued drawing down the permanent U.S. garrison in Europe and funding it through the Defense Department’s Overseas Contingency Operations account. Even more telling, the administration reduced the overall size of the Army from its Iraq-surge strength of about 560,000 to today’s approximately 470,000, without measurably reducing U.S. military commitments world-wide.